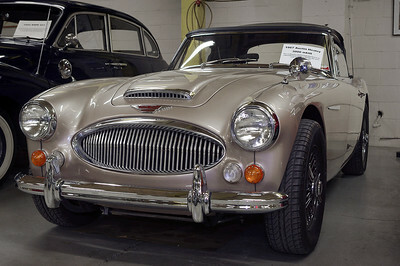 1967 Austin Healey 3000 Mk III. 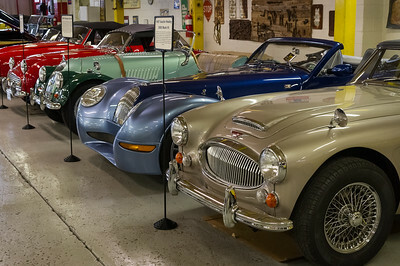 Private collection in Springfield, Missouri, now the Route 66 Car Museum. 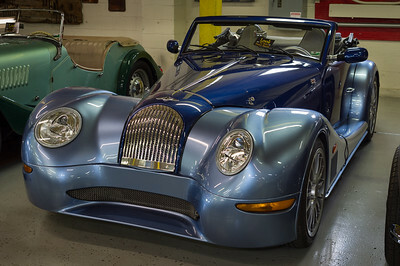 2005 Morgan Aero8, Route 66 Car Museum, Springfield, Missouri. BMW chassis, aluminum body, 0-60 in 5 seconds. Only about 200 are made each year. 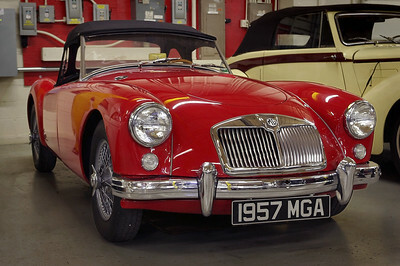 1963 Morgan +4. Route 66 Car Museum, Springfield, Missouri. 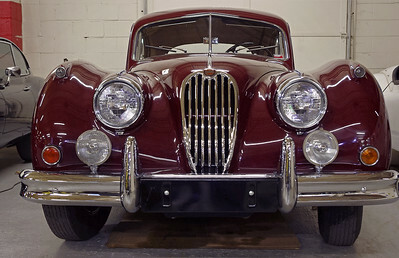 Only 4,584 were produced between 1950-1964. 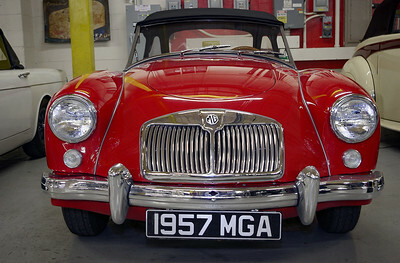 1957 MGA. 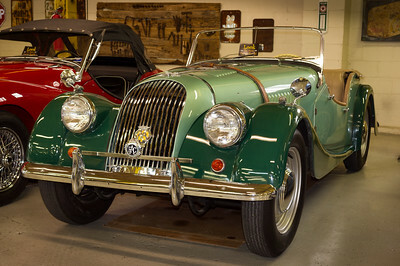 Private collection in Springfield, Missouri, now the Route 66 Car Museum. 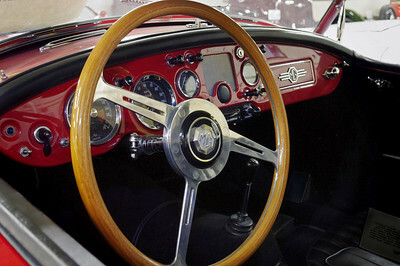 Dash detail, 1957 MGA. Private collection in Springfield, Missouri. Now the Route 66 Car Museum. A couple of sweet Jaguars. 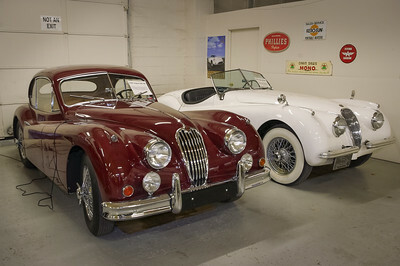 In front, a maroon1957 Jaguar XK140, and a white 1954 Jaguar XK120. Was a private collection, now the Route 66 Car Museum. 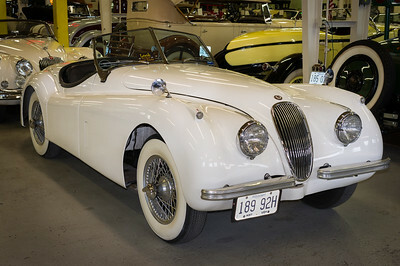 Jaguar - 1957 XK 140. Private collection, Springfield, Missouri, now the Route 66 Car Museum. 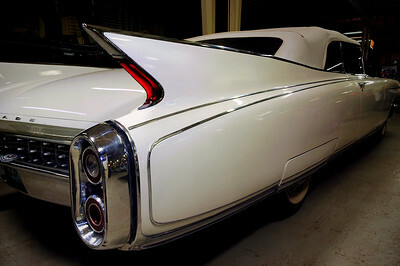 Cadillac tail fins - about 1960. HDR processing from a single image. 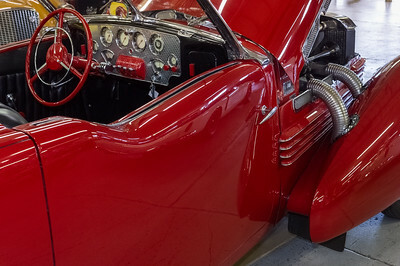 Private collection in Springfield, Missouri, now the Route 66 Car Museum. 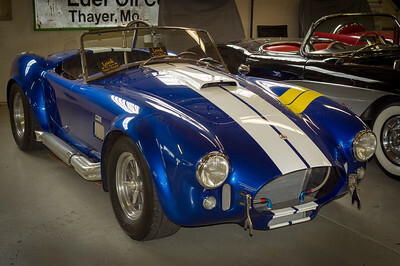 1965 Shelby Cobra MKIII, or more specifically, an identical replica produced by the Superformance Company in 2003, under license from Carroll Shelby Licensing, Inc. On display at the Route 66 Car Museum on College Street, Springfield, Missouri. 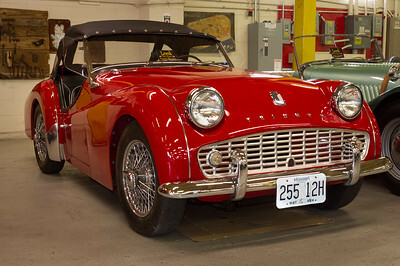 1962 Triumph TR3B. Route 66 Car Museum, Springfield, Missouri. 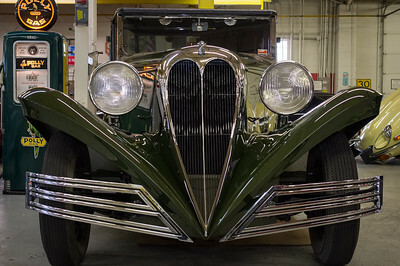 1934 Ford Brewster. 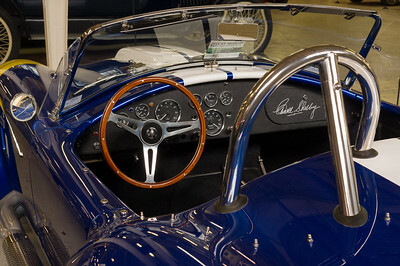 The coachbuilding company, Brewster, bought the chassis from Ford. Approximately 60 were sold at Rolls-Royce showrooms. 1936 Cord Model 810/812. Manufactured in Connersville, Indiana by the Auburn Automobile Company. The Cord 810 was the first front wheel drive vehicle in America with independent front suspension. This modified Cord is in the Route 66 Car Museum, Springfield, Missouri.